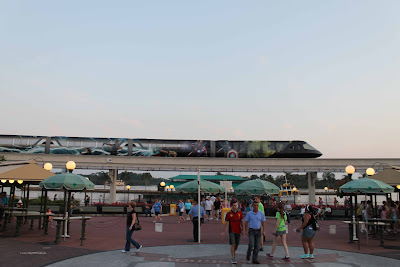 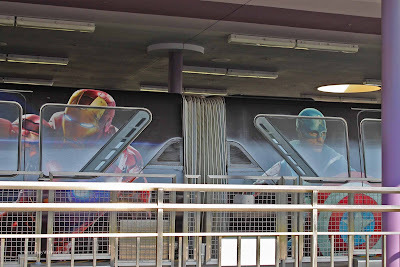 The Avengers have arrived at the Walt Disney World Resort and you can find them adorning one of their famous monorails. 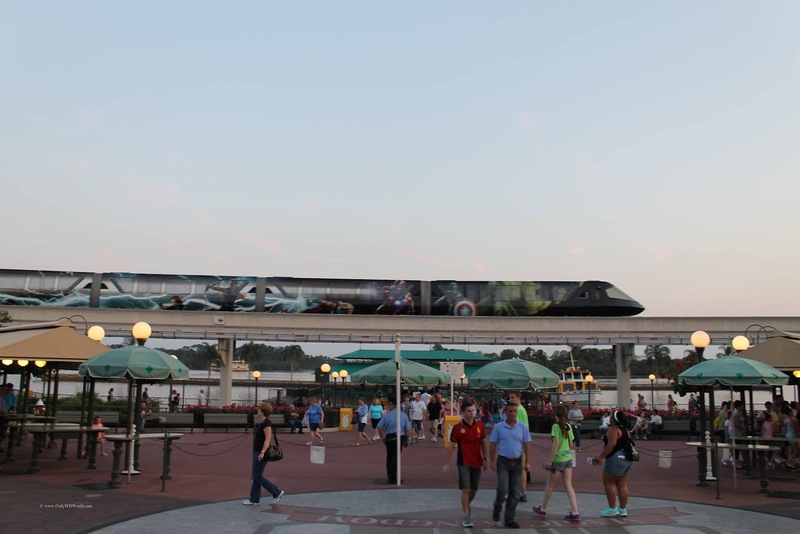 This eye catching transformation of the monorail not only looks great, but it also promotes the May 4th arrival of the Marvel Studios movie: "Marvel's The Avengers." 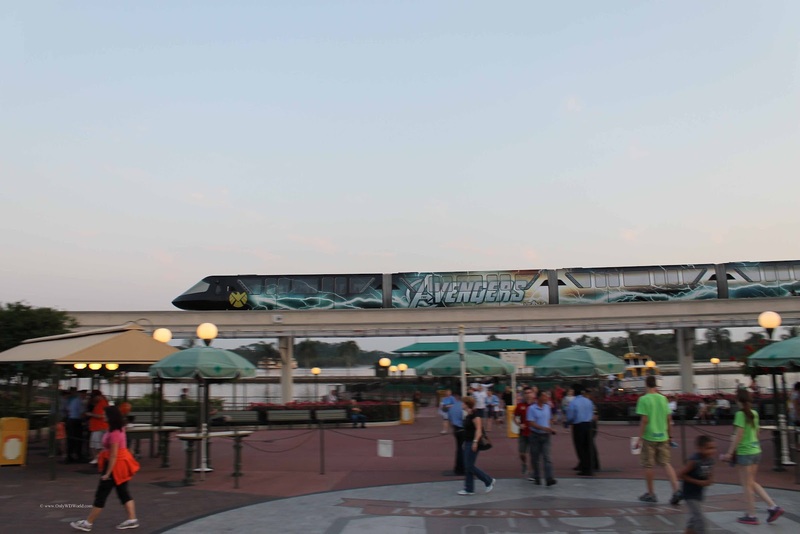 The Avengers monorail brings to life this team of superheroes that are making their big screen debut as a group after several recent movies starring the superheroes individually. 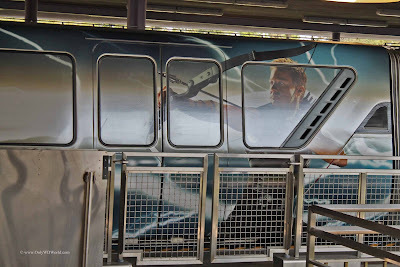 The Avengers, for this movie, is made up of: The Incredible Hulk, Captain America, Iron Man, Thor, Hawkeye, Black Widow, and Nick Fury. 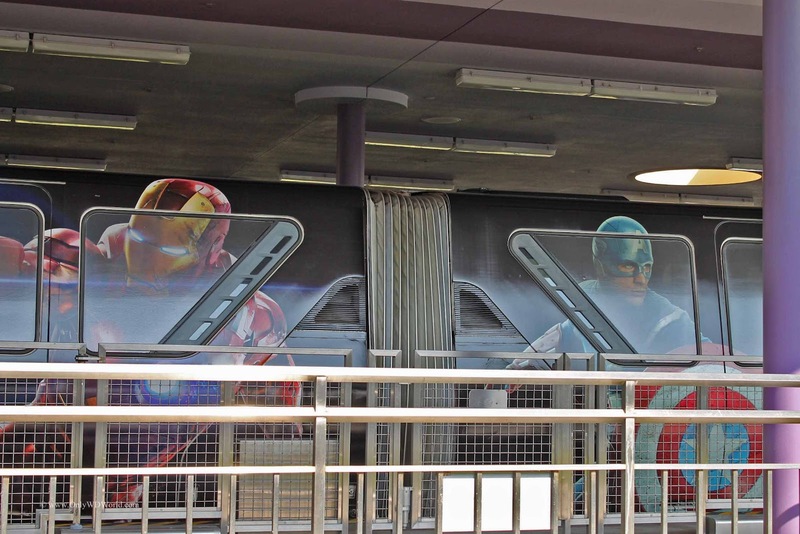 Here you can see a close-up view of Iron Man and Captain America. 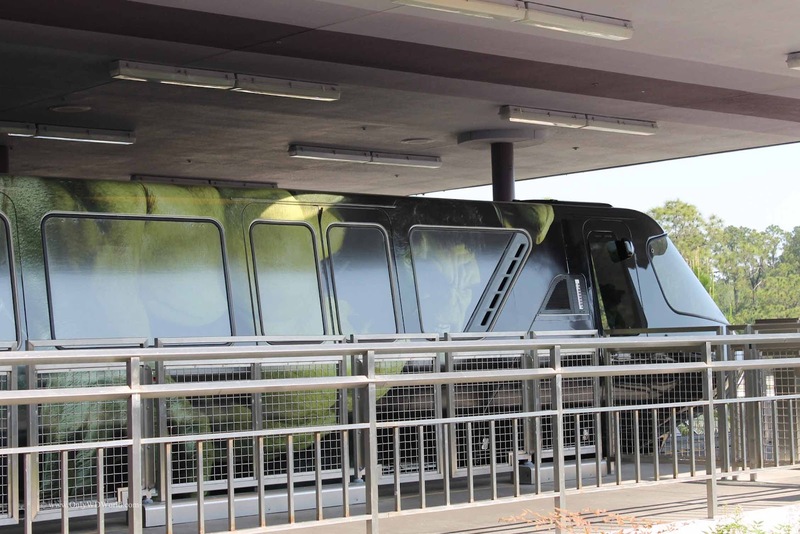 You can make out the Hulk in the above picture. 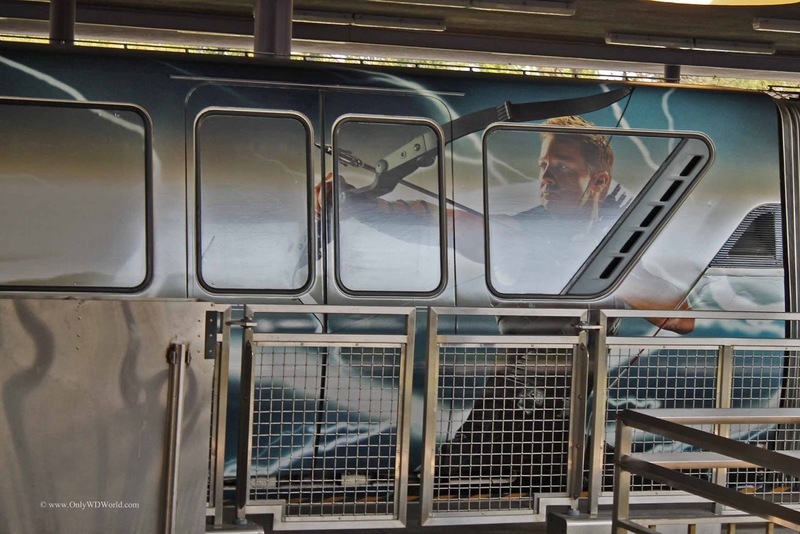 This is the 2nd time in recent history that Disney World has re-themed a monorail to promote a movie. 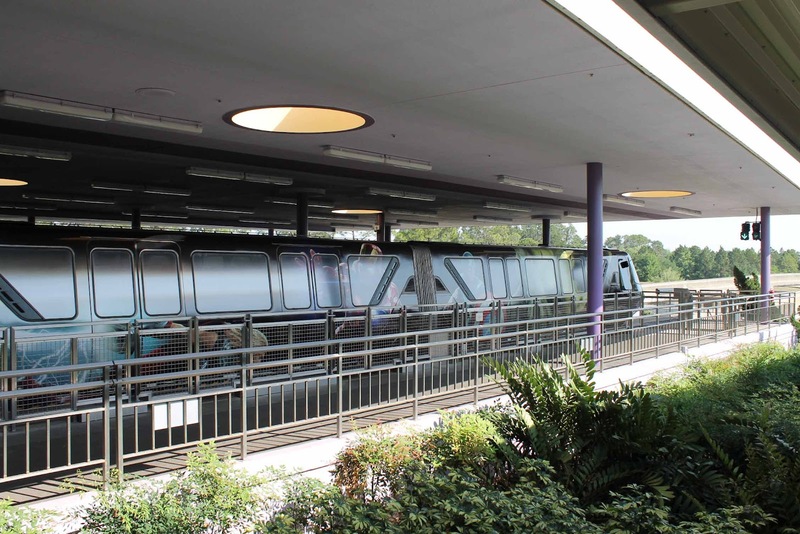 The previous one was for the Tron sequel: Tron Legacy, that came out in 2010. Although it is obvious that the remake of the monorail is blatant advertising, they look great and attract a lot of attention as they make their circuits around Disney World. 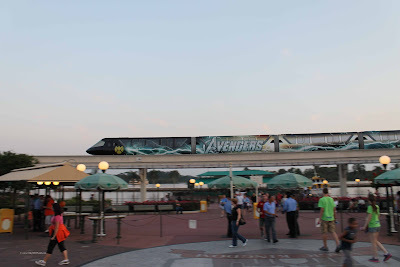 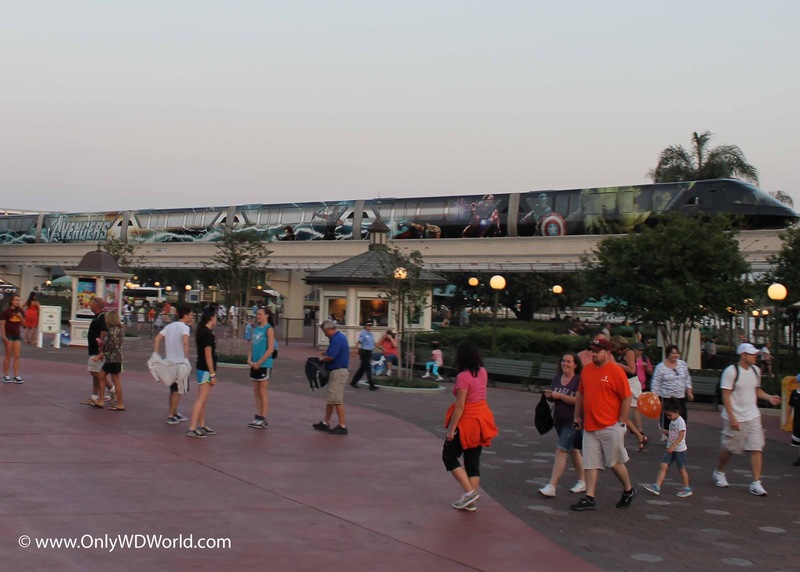 0 comments to "Avengers Monorail Arrives To Protect Disney World"